One prong set princess cut diamond, measuring 4.98 x 4.97 x 4.01mm exact weight 0.86ct. EGL Report attached. Laser inscribed GSL 218351. Graded loose prior to setting in the EGL Laboratory Report #US 905792213D. 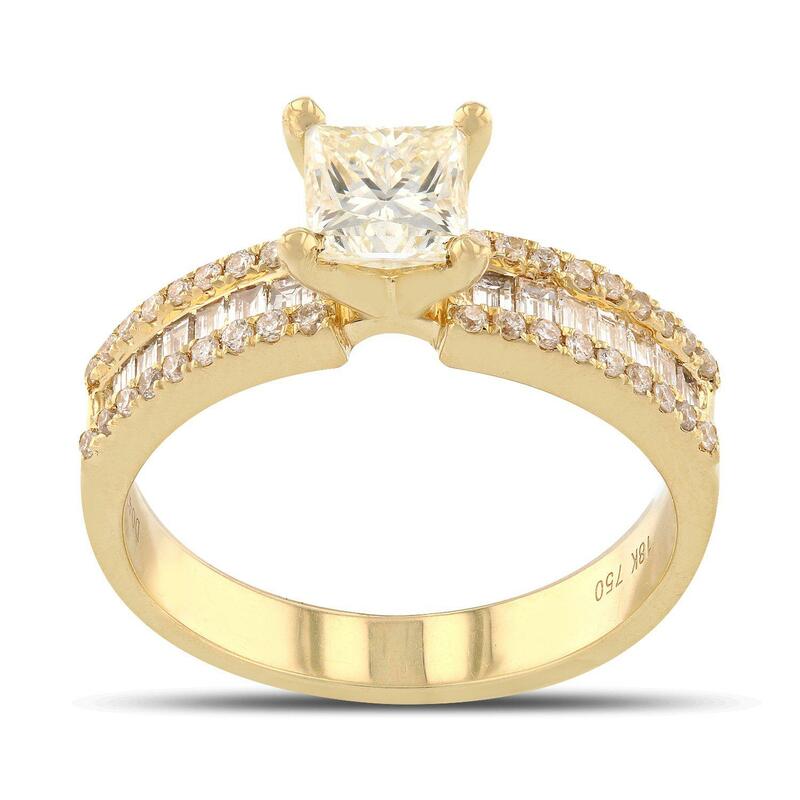 Forty-eight prong and channel set round brilliant & baguette cut diamonds approximate total weight of 48 Stones = 0.47ctw. The clarity grade reflects the entire range of clarity for this group. Graded in the setting. Total Weight of Diamonds 1.33ctw.